MACOM Announces New Family of Drivers for Single-Lambda 100G and 400G Applications | MACOM Technology Solutions Holdings, Inc. 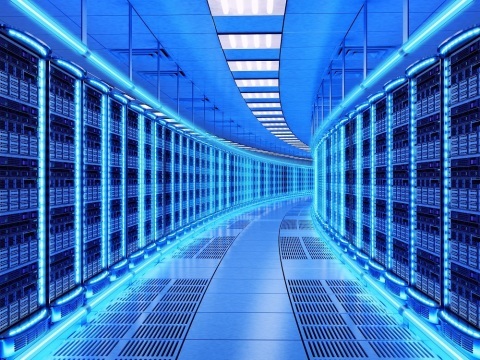 In order to meet the increasing demand for higher data capacity, telecom manufacturers need high performance 100G per lambda connectivity solutions available at a mainstream low cost. MACOM’s new family of linear drivers featuring high output voltage and low power consumption are poised to enable the industry’s shift to Single-Lambda based 100G and 400G modules. The high gain, high bandwidth and low THD enable best-in-class PAM-4 performance, while the high output voltage capability enables high yielding solutions with a wide range of optical engines. MACOM’s MAOM-005321 and MAOM-005421 EML drivers feature differential inputs and up to 1.8Vpp linear single-ended output with integrated bias-Ts for the driver and EML. The MAOM-005324 and MAOM-005424 Silicon Photonics MZ drivers feature differential inputs and up to 3.6Vpp differential output with direct coupling to the modulator for minimum loss and optimum performance. MACOM’s new EML drivers offer pin-to-pin compatibility with the 1st generation MAOM-005311 and MAOM-005411 devices and can be bundled with the single and quad-channel linear TIAs MATA-005817 an MATA-003819 for a complete receive and transmit solution. More information on MACOM’s new family of drivers, along with the complete portfolio of products for optical communications and the InnovationZone featuring leading industry solutions, will be available at OFC 2019, MACOM Booth #2739, March 5th-7th in San Diego. To make an appointment, contact your local sales representative. For more information on MACOM’s optical networking solutions visit: www.macom.com/applications/optical-networking. MACOM enables a better-connected and safer world by delivering breakthrough semiconductor technologies for optical, wireless and satellite networks that satisfy society’s insatiable demand for information. Today, MACOM powers the infrastructure that millions of lives and livelihoods depend on every minute to communicate, transact business, travel, stay informed and be entertained. Our technology increases the speed and coverage of the mobile Internet and enables fiber optic networks to carry previously unimaginable volumes of traffic to businesses, homes and datacenters. MACOM is the partner of choice to the world’s leading communications infrastructure, aerospace and defense companies, helping solve their most complex challenges in areas including network capacity, signal coverage, energy efficiency and field reliability, through its best-in-class team and broad portfolio of analog RF, microwave, millimeterwave and photonic semiconductor products. MACOM is a pillar of the semiconductor industry, thriving for more than 60 years of daring to change the world for the better, through bold technological strokes that deliver true competitive advantage to customers and superior value to investors. Headquartered in Lowell, Massachusetts, MACOM is certified to the ISO9001 international quality standard and ISO14001 environmental management standard. MACOM has design centers and sales offices throughout North America, Europe and Asia. For more information about MACOM, please visit www.macom.com, follow @MACOMtweets on Twitter, join MACOM on LinkedIn and Facebook, or visit the MACOM YouTube Channel. This press release contains forward-looking statements based on MACOM's beliefs and assumptions and on information currently available to MACOM. These forward-looking statements reflect MACOM's current views about future events and are subject to risks, uncertainties, assumptions and changes in circumstances that may cause those events or our actual activities or results to differ materially from those expressed in any forward-looking statement. Although MACOM believes that the expectations reflected in the forward-looking statements are reasonable, it cannot and does not guarantee future events, results, actions, levels of activity, performance or achievements. Readers are cautioned not to place undue reliance on these forward-looking statements. A number of important factors could cause actual results to differ materially from those indicated by the forward-looking statements, including, but not limited to, those factors described in "Risk Factors" in MACOM's Annual Report on Form 10-K, Quarterly Reports on Form 10-Q and other filings with the Securities and Exchange Commission. MACOM undertakes no obligation to publicly update or revise any forward-looking statement, whether as a result of new information, future events or otherwise. Source: MACOM Technology Solutions Inc.